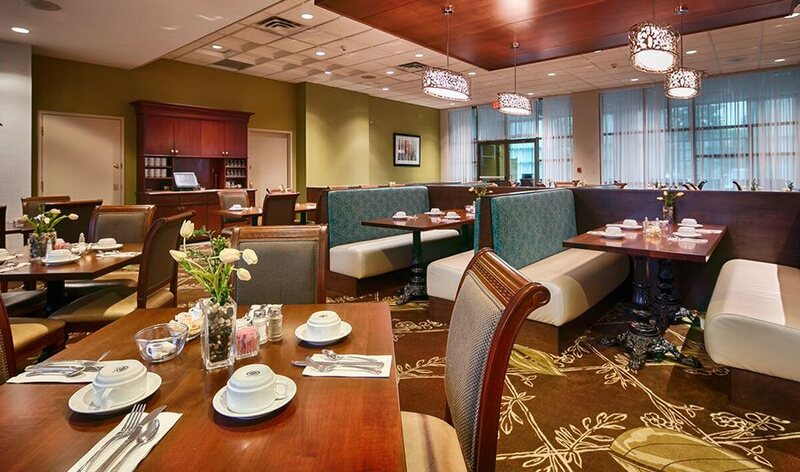 Best Western Plus The Arden Park Hotel is one of the top hotels with conference facilities and luxury wedding venues in Stratford, ON. As a preferred Best Western Plus hotel and local business hotel, we strive to provide our guests with everything they require for a relaxing, stress-free stay. Check out our 3 daily features at both lunch & dinner or come in and enjoy one of our homemade soups made fresh daily. We also offer Sunday brunch each week between 10 a.m. – 2 p.m. Voted best brunch in town!. Breakfast: Mon-Sat 7:00 a.m. to 11:30 a.m.
Sun 7:00 a.m. / Brunch 10:00 a.m. - 2:00 p.m. Lunch: Mon- Sat 11:30 a.m. to 2:00 p.m.
Sun Brunch 10:00 a.m. - 2:00 p.m. Lounge Menu: Monday - Saturday 11:30 a.m. - 9:00 p.m., Sundays 2 p.m. - 8 p.m.
Our guests can enjoy breakfast on site to start off every day during their stay. 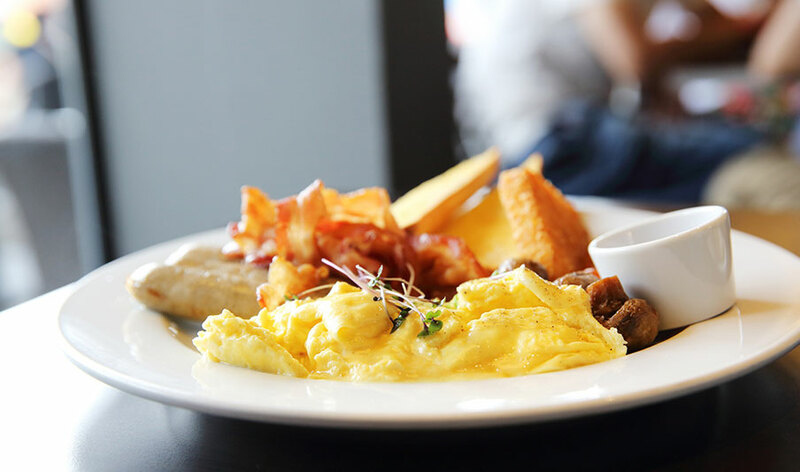 The breakfast menu includes something for everyone: from your traditional bacon & eggs, to breakfast wraps, pancakes, yogurt, muffins, bagels and freshly brewed coffee, teas and juice. Ask about our breakfast rate! 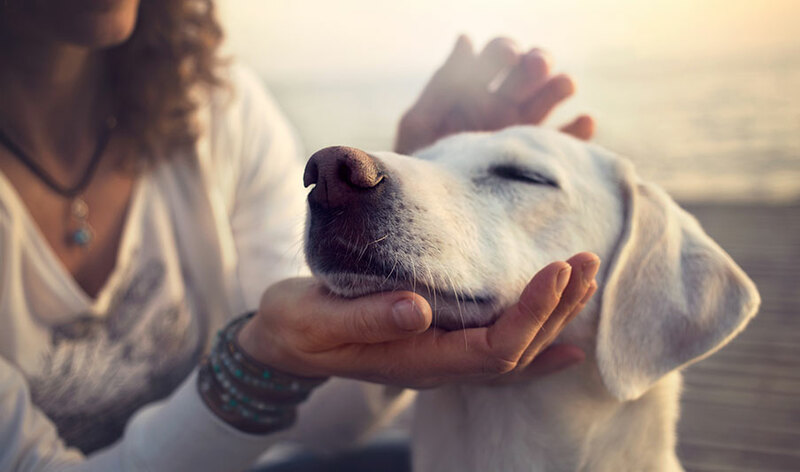 As one of the top pet-friendly hotels in the area, we invite you to bring your dog along on your journey with you. Guests are allowed to have two dogs maximum in a room. Contact us for more information on our pet policies and rates. 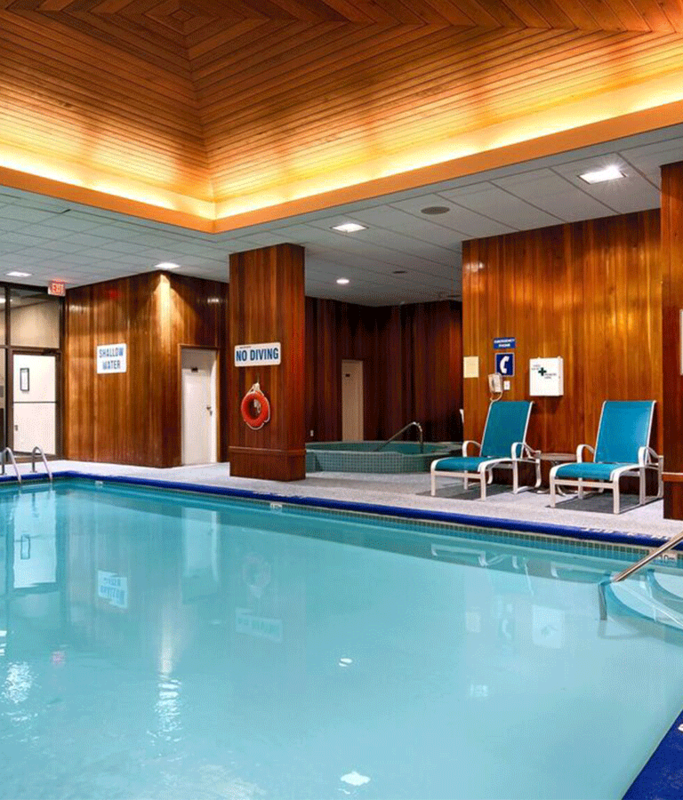 As one of the only hotels with a pool and hot tub, as well as a fitness centre, we are pleased to offer convenient facilities to help our guests stay active while in town. 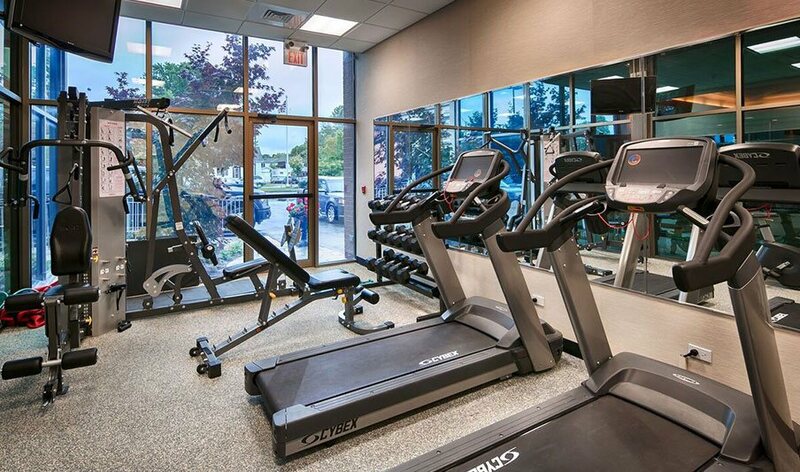 Our fitness centre is a great place to workout with treadmills, a stepping machine, bike, universal weight machine and free weights, while our swimming pool and hot tub serve as the perfect way to refresh and unwind after a busy day. We want to make sure our guests enjoy a hassle-free convenient stay at our hotel. We provide free parking and Wi-Fi for all our guests for the duration of their stay. Forget searching for parking spots and keep connected with family and friends as much as you like. 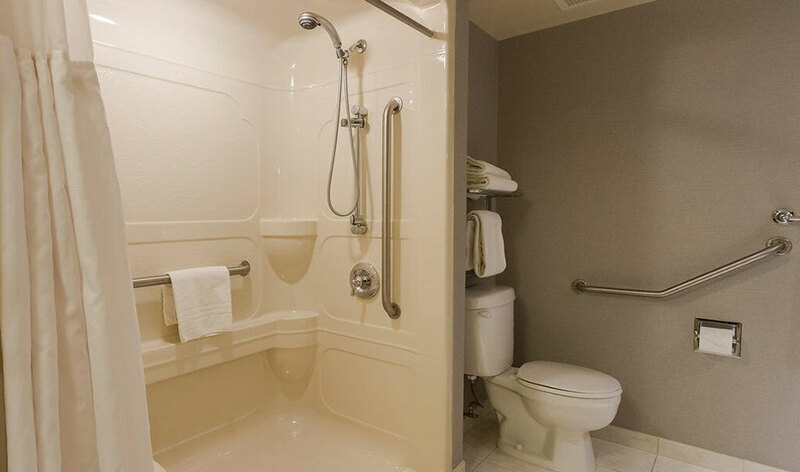 Our ADA hotel features two rooms with accessible amenities to make our disabled guests feel right at home. Our rooms feature cozy king-size beds, roll-in showers and bath tubs, widened doorways and more.